The sessions will take place on Saturday, September 28th. 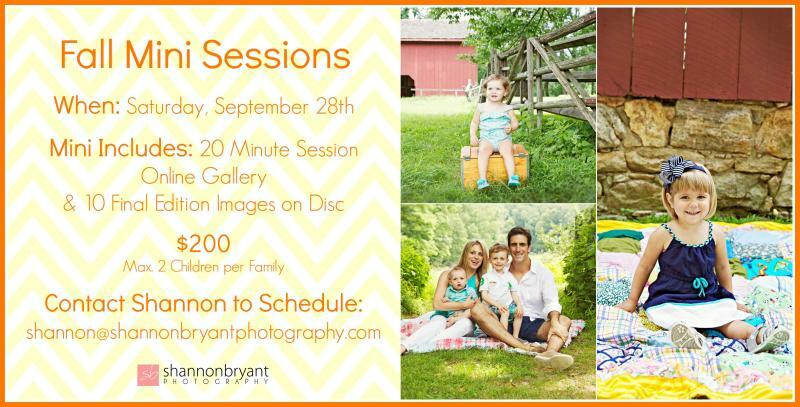 This is a great opportunity for some lovely family photos (think Holiday cards!). These will be the last minis until 2014 and spots are limited - so book now!